Speakeasy @ Vegas Jelly November 1st 2012 from Get Speakeasy on Vimeo. Last week we were honored to be invited to speak at Vegas Jelly, a weekly tech meetup in downtown Las Vegas about startups and entrepreneurship. The talks were quite varied and engaging, especially Fandeavor, Betaspring, Clickthrough TV and Ubiquita. Instead of just pitching our product, I wanted to tell the story of how Newmindspace created a global event brand, how that spawned Speakeasy, and how fun helps build community. I didn’t get too deep into the citybuilding part this time, but perhaps I can deliver that to a less tech-oriented crowd at a later time – I hear the number of talks in downtown Vegas is about to increase dramatically. Last week, we decided to drive to Las Vegas to check out the tech scene, Zappos.com, the revitalization efforts of downtown Vegas spearheaded by Downtown Project, and the intriguing vision to remake a city in the middle of the desert. Since it is our habit to put on crazy events whenever we can, we decided it would be thematically appropriate to build a speakeasy in a box truck for First Friday. Our first stop was Speaker Series where Kacy Qua from X PRIZE was giving a talk. As the portable building emptied, our little speakeasy filled right up. We served about half the people we met last week – glad to be of service! Later that night, after First Friday wound down, we decided to bring The Dusty Rabbit out again for round 2. We found a good spot on 6th St. between Fremont and Carson next to the soon-to-open Commonwealth to keep the drinks flowing. After a couple text blasts from the illustrious Krissee Danger, the patrons multiplied and the swing music was roaring. Having lived in Toronto for many years, Canada is always top-of-mind for us. From a business perspective, Toronto is always looming in the distance as a huge market. It’s the fourth largest city in North America, is quite wealthy and diverse, and Canadians are some of the most wired people on the planet, so we’re willing to say it’s an even bigger city than Chicago in a way. This actually presents a Canadian entrepreneur with a unique opportunity: the ability to copy the business model of a popular SF startup that has no immediate plans to expand to Canada. Lyft comes to mind as something that Toronto desperately needs, and a company that is going to expand into Toronto eventually, after they have tackled a bunch of second-tier American cities first. 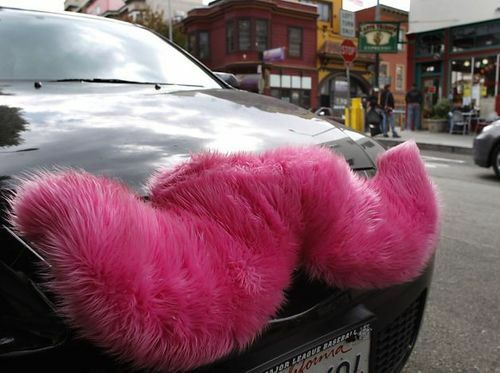 If a Toronto company can own the “unlicensed drivers with fun fur on the car grille” market, it is quite possible Lyft (or whoever wins the unlicensed driver space) will simply acquire the Toronto company to gain the traction they need. A good example of this is Airbnb’s acquisition spree following their Series D funding, including acquisition of London-based Crashpadder. We would even go as far as saying there ought to be entire Canadian seed funds based around this concept: it’s good for Canada because Toronto, Montreal and Vancouver will get to play with new consumer tech earlier, and good for business, because it will present exit opportunities when these larger American startups raise massive later rounds or IPO. If we were starting a new company in Toronto and weren’t sure exactly what problem we wanted to tackle, this is exactly what we would do.